The love story between Jennifer Lynn Stone and Fred Savage started when they were still kids growing up in Glencoe. In the course of time, however, Fred relocated to Los Angeles from Chicago, in other to gain more exposure in his acting career. His deportation meant he would lose touch with his childhood friend and yes, they did lose touch. However, they were reunited at Savage’s 22nd birthday party and it was there that their relationship was rekindled. Find out below, the details of their big day and all that has played out in their marital life. But first, let us answer the question of who Jennifer Lynn Stone is. Bio – Who is Jennifer Lynn Stone? Jennifer Lynn Stone was born sometime in the 70s in Chicago. Some reports have it that she is 3 years older than her husband. If we go by this to make a more precise estimate; we know that her husband celebrates his birthday every 9th of July as he was born on that day in the year 1976. Jennifer’s birth year will then, therefore, be 1973. There have not been any disclosures on who her parents are, whether or not she has siblings and what her childhood was like. But being that we know that her childhood playmate and now husband Fred Aaron Savage had what can be considered a happy childhood, we can postulate that the same was obtainable for her while growing up in Glencoe, Illinois. Before Jennifer Lynn Stone’s well-documented marriage to the Hollywood star, Stone was reportedly working as a commercial real estate agent in Los Angeles. It is not certain if she retained this job after her marriage or not. The much that is known about Lynn Stone from this point onwards boarders mainly on her marriage with Fred; their memorable Jewish styled wedding, family life, and their lovely kids. The other pieces of information you might find online, purportedly describing the events in Jennifer’s life is actually that of an actress who bears a near-similar name Jennifer Lindsay Stone. She is however much younger than Savage’s wife as she was born on 12 February 1993. 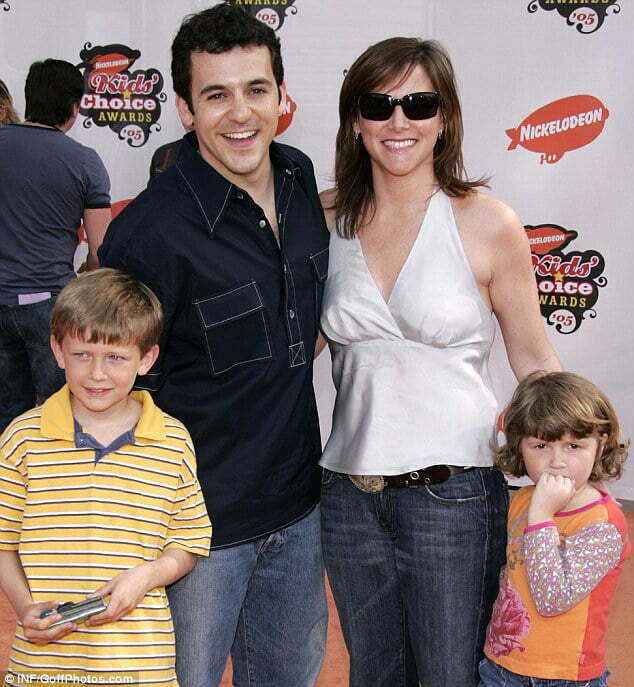 Jennifer Lynn Stone and Fred Savage have come a long way. The duo as mentioned in the beginning were childhood friends while they were growing up in a small town outside Chicago. They parted ways when Fred moved from Chicago to Los Angeles to give a lift off to his acting career. A couple of years passed during which Fred became a Hollywood star; famously known as Kevin Arnold from the American television series The Wonder Years. The two reconnected at Fred’s 22nd birthday party from where they began a romantic relationship. While on a trip to Italy, in 2003, Fred proposed to Jennifer with a 5-carat cushion-cut sapphire, adorned with Pavé Diamond. The ring had engraved on it “I must have done something good,” which is a line from Stone’s favorite lyric from The Sound of Music. The proposal was accepted with an instantaneous yes. The following year, the duo got married, sometime in August 2004, in a Jewish wedding at L’Orangerie Restaurant in Los Angeles. On her big day, Jennifer Lynn Stone wore a strapless ivory gown designed by Monique Lhuillier, while for her jewelry, she adorned herself with a pair of diamond drop earrings, a diamond-and-platinum bracelet and an Edwardian-style necklace from famous jeweler Neil Lane. Tables, sofas, and area rugs were used to transform the restaurant’s outdoor space into a comfortable lounge. Guests were treated to a cocktail reception where pomegranate martinis and champagne were served. At the reception proper, a five-course dinner which had in its menu: fillet of John Dory, figs and fava beans, fresh summer asparagus salad, lemon, and olive oil were served. Savage Fred and Jennifer Lynn Stone are now parents to 3 lovely kids. Their first child Oliver Phil Savage (son) was born on the 5th of August 2006. Two years later, Lily Aerin Savage became his younger sister on May 3, 2008, while four years later, the youngest Auggie Savage (boy) was born on the 26th of November 2012. The family has been together as one, raising their kids joyfully with no negative vibes about them.